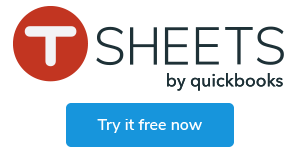 It’s only February, but it’s been quite the year for TSheets by QuickBooks. In January, we officially became an Intuit company, having co-existed like peanut butter and jelly for eons. The union is significant because the two organizations share the same core values and vision, which, when combined, will only lead to even more amazing things. One of these values is having an inclusive and encouraging culture, specifically towards women in tech. Intuit’s Tech Women @Intuit (TWI) initiative is easily and best summarized by Communications Manager, Karen Weiss, in the below video. Warning: Mad rhymes and sick lines included. In conjunction with International Day for Women and Girls in Science on February 11, it is our privilege to feature two of TSheets’ very own, as they share their journey and how peers and the workplace can be more supportive of women in tech. One will quickly notice Katy’s positive disposition and how she makes the best of whatever life throws at her. When it comes to her life in tech, she is thankful and proud of how gender has been such a positive force. But that’s not to say it’s all been smooth sailing. Katy had been told in the past that she appeared unapproachable, and she is not alone. Fortune wanted to find out if gender played a role in the type of feedback employees receive, and had a linguist crunch the numbers. The results? Almost 90 percent of reviews received by women contained critical feedback, compared to the 58.9 percent of reviews received by men. Since then, Eve has been an advocate of Women in Tech teams in the workplace, served on boards dedicated to bringing greater representation to both women and minorities in STEM, and has mentored and been mentored by amazing people. Eve brings the same persistence and dedication to TSheets. When we started to work on this post, it was easy to get overwhelmed with all the negativity involving gender parity and inequality. But that’s not what we’re about. We aspire to inspire change for the better, and in the wise words of Karen Weiss, the women in tech and especially those here at TSheets by QuickBooks, together with Intuit, definitely have the temerity to say with sincerity they are powering prosperity around the world.